It started with a call to Congressman Jack Bergman’s office. "It was a last resort, which turned out to be the best thing," said Barbara Willing. Willing turned to Congressman Bergman when the VA couldn't help her husband, Albert Raffaelle, even though his personal physician and neurologist said it was a medical emergency. Raffaelle was malnourished and had lost so much weight that his body had literally started shutting down. The reason? He couldn’t eat because he was missing so many teeth. "The VA sent me a list of dentists who help vets. I was saving up for dentures for my husband, but the cheapest I found was $2500 — a lot of money for folks on a fixed income." 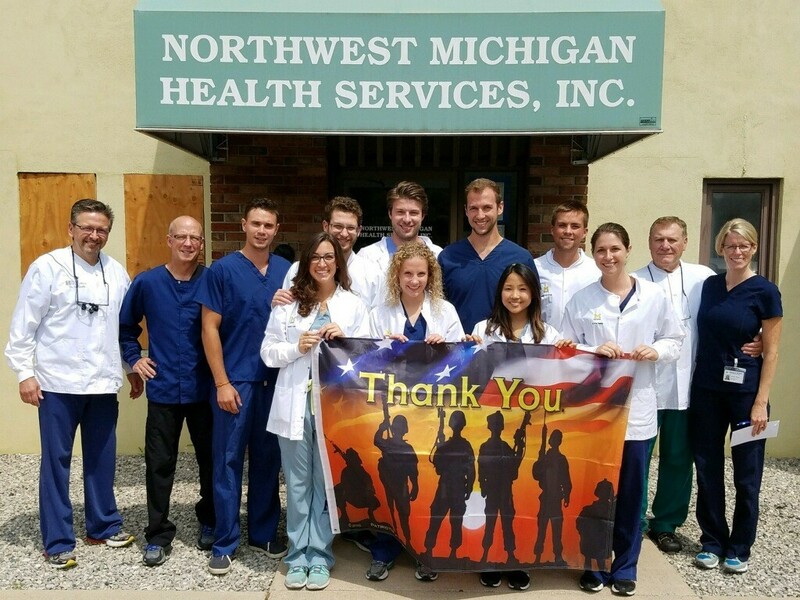 Congressman Bergman’s VA liaison directed Willing and Raffaelle to a local community health center, Northwest Michigan Health Services, Inc. (NMHSI), and the Victors for Veterans program. “When we first saw the patient, he was slumped over in a wheelchair. Just skin and bones,” said Jen Kerns, coordinator for the Victors for Veterans program at NMHSI. The patient, Albert Raffaelle, and his wife, Barbara Willing, were trying their best, but they clearly needed help. NMHSI and the Victors for Veterans program fitted Raffaelle with dentures and kept a close eye on his recovery. Over the next few months, Raffaelle’s health improved. He gained weight. He looked better. And, he was able to leave his wheelchair behind. Each veteran’s experiences and the challenges they face are different, but the need is the same. Nationwide, more than 300,000 veterans seek care from a health center, and more than 13,000 veterans call a Michigan health center their primary care home. Community health centers can help veterans, especially in rural areas, access timely primary and preventive health care — including obstetric care, behavioral health, substance use disorder treatment, and dental services. The number of veterans seeking care at community health centers nationwide has increased by more than 55 percent from 2008 to 2016. This change is due in part to the passage of the Veterans’ Access to Care through Choice, Accountability, and Transparency Act in 2014, which allows eligible veterans to receive health care in their communities rather than at the VA. Unfortunately, dental care is often overlooked. Access to affordable dental care is a huge challenge in Michigan. Seventy-seven out of Michigan’s 83 counties have at least one dental shortage area, leaving millions of residents without access to necessary oral care. For veterans, that access problem is compounded by difficulties obtaining dental benefits. According to the Wolverine Patriot Project, of the 723,000 veterans who live in Michigan, approximately 7 percent are homeless, and many do not qualify for dental benefits. The VA only provides full oral health care to veterans who are totally disabled, were former prisoners of war, and who have a service-connected dental disability or condition. As a result, many veterans go without necessary dental care. Victors for Veterans aims to change that. The program, a local satellite of the University of Michigan School of Dentistry’s Wolverine Patriot Project, is managed by NMHSI, a Federally Qualified Health Center. With the help of a grant from Delta Dental, local fundraising, and donations, NMHSI, in association with local dentists, provides free, compassionate dental care to approximately 60 veterans each year. Last year, NMHSI provided more than $85,000 in free dental care, and they have 37 veterans registered and waiting for the next program year to begin. 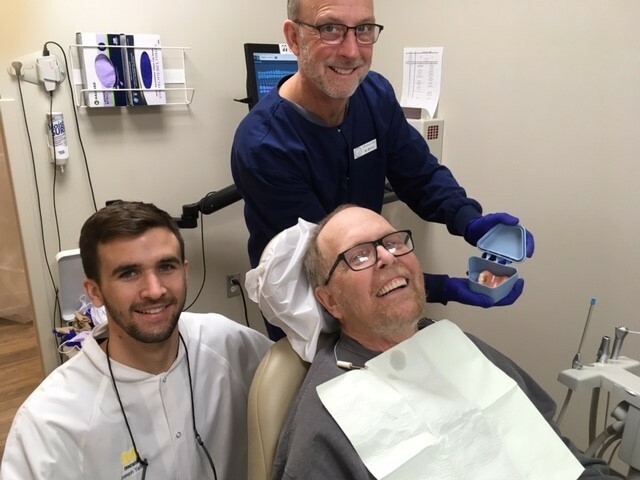 While veterans are on the Victors for Veterans waiting list, they also receive dental services at NMHSI’s regular dental clinic, where they receive discounted fees through their sliding fee scale program. They are also introduced to the full suite of services NMHSI provides, including primary and preventive health care, behavioral health services, and treatment for substance use disorders. NMHSI took over the Victors for Veterans program in May of 2017 and hosts the program at their Traverse City location. It’s a great fit for the health center and the community. NMHSI is a teaching facility, and they already collaborate with the University of Michigan School of Dentistry to host fourth-year dental interns. To learn more about NMHSI and the services they provide, visit www.nmhsi.org.